The first time George Washington traveled through Connecticut, in 1756, he was an ambitious young Virginia colonel headed for Boston on a mission he hoped would advance his career in the British military. When he last visited Connecticut in 1789, he was the first president of the new United States, a nation that existed in large part thanks to Washington’s leadership of American troops to victory over that same British military in the war for independence. All of the trips Washington made to or through Connecticut during the intervening years were in his role as commander-in-chief of the Continental army. In 1775 he passed through Connecticut on his trip from Philadelphia to assume leadership of patriot troops gathered outside Boston to resist British tyranny. In 1780 he made a secret journey from his headquarters in New Jersey to Hartford to meet with the patriots’ new allies, the French. It was upon returning from that trip that Washington learned of Benedict Arnold’s treason. Although “George Washington slept here” has become a cliché, it is known for a fact that he did spend the night in a number of Connecticut towns, including Norwich, New London, Fairfield, Hartford, Litchfield, New Haven, Ashford, and Westport. In which inn or house he lodged has often been much more difficult to determine. 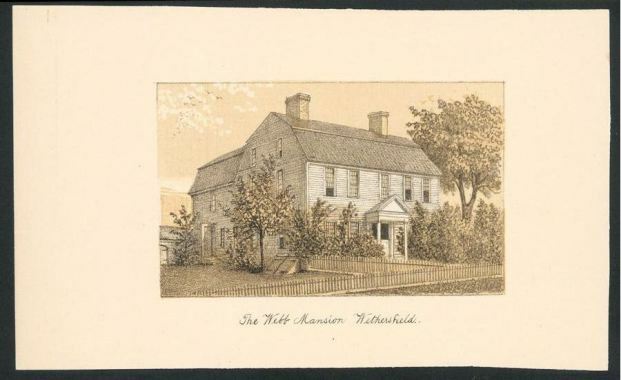 One location in which it is indisputably documented that George Washington slept, and that still stands, is the home of Joseph Webb in Wethersfield, today part of the Webb-Deane-Stevens Museum. Here Washington spent five nights in May of 1781, participating in a conference with the patriots’ French allies on a plan that would lead to the surrender five months later in Yorktown, Virginia, of a British army commanded by General Cornwallis—a victory that would ensure the success of the American Revolution. Diana Ross McCain formerly Head of the Connecticut Historical Society Research Center and author of the books It Happened in Connecticut, Connecticut Coast: An Illustrated History, Mysteries and Legends of New England, and a biography of Connecticut’s official state heroine, To All on Equal Terms: The Life and Legacy of Prudence Crandall. “History Pin - Washington Slept Here Tour.” Connecticut State Library, 2012. Link. Washington, George, John Clement Fitzpatrick, and Mount Vernon Ladies’ Association of the Union. 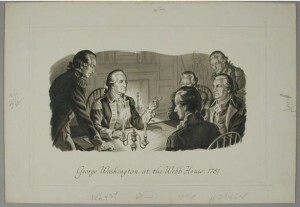 The Diaries of George Washington, 1748-1799. Boston; New York: Houghton Mifflin Company, 1925.